From Jazmin: Being in the wedding industry and interior design industry, I find myself combining both elements in my work. I have always been passionate about interior design and architecture. 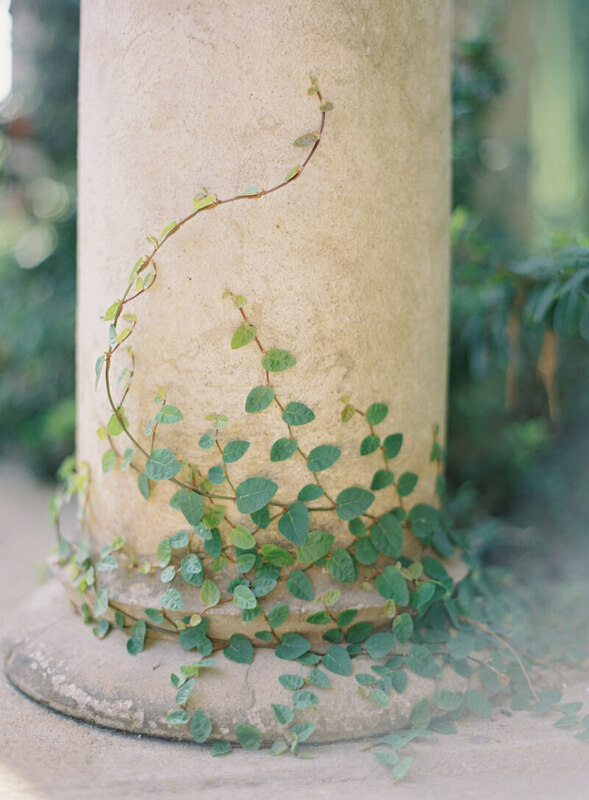 The beauty in simplicity of fine art, architecture, greenery and soft colors were my inspiration for this styled shoot. Being in California I wanted to being those same elements found in Italy, Rome, and Paris. The Italian cypress trees help you forget that you are not in Italy. Everything from the castle venue to the vendors helped bring together this beautiful fine art wedding style shoot. You can definitely have a fine art wedding in California and have that fairy tale wedding.